New York Irish Theatre with Enda Walsh, Gabriel Byrne: December! How It’s New York: New York is still the theatre metropolis. In addition to these productions we’ve had a bunch of Broadway openings lately, and there will be more to come. 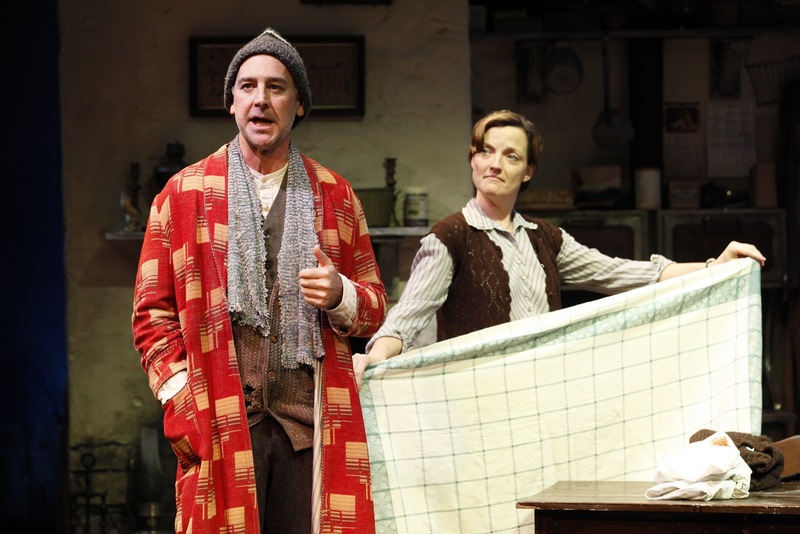 How It’s Irish: These plays are by Irish writers, on Irish themes. Some have Irish performers, some come from Irish theatres. When the 1st Irish Festival takes place in September there’s always a lot of Irish theatre happening. Suddenly we get our Christmas/Hannukah presents early with can’t-miss productions. Though not all of them have holiday themes, they’d all be great holiday excursions. Some have very short runs (Misterman and James X, I’m looking at you, and Krapp’s Last Tape also!) so we’ll point them out now, with reviews to come! All of these are on the Calendar too, and remember anything on the Calendar can be added to your own Google Calendar, and it will send you alarms and reminders. But these are selling out fast. What have we got? 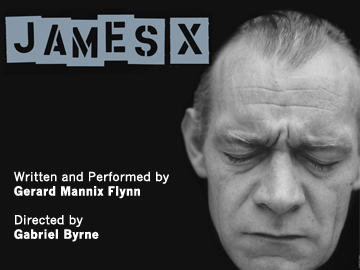 Samuel Beckett’s memory play (which, like Misterman, relies on tape recordings), starring John Hurt; a musical concert presentation of Dylan Thomas’ lovely memory of being a child at Christmas time, and Gerard Mannix Flynn’s searing one-man show about a man facing a Tribunal dealing with the institutions that abused him– directed by Gabriel Byrne. Basic details below but check the calendar and the individual websites for details of times and dates. 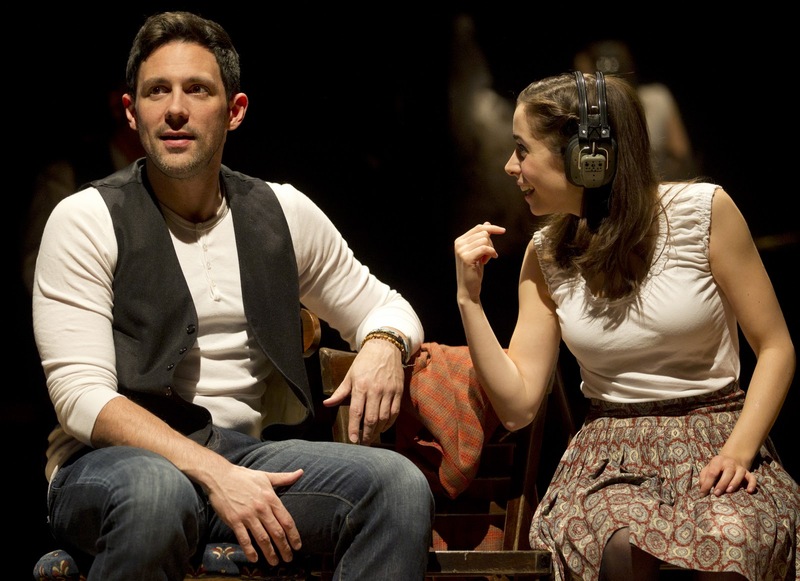 The creators of the acclaimed Black Watch, director JohnTiffany and choreographer Steven Hoggett, join forces with playwright/screenwriter Enda Walsh (Penelope, Hunger, The Walworth Farce) to bring the hit independent film ONCE, winner of a 2007 Academy Award for the hit song “Falling Slowly,” to the stage. The show runs through January 1 only, and many performances are already sold out. On the streets of Dublin, an Irish musician and a Czech immigrant are drawn together by their shared love of music. Over the course of one fateful week, an unexpected friendship and collaboration quickly evolves into a powerful but complicated love story, underscored by the emotionally charged music that has made ONCE an international sensation. In his New York City stage debut, Oscar nominee John Hurt exposes the wry, forlorn, and acerbic reflections of a depleted writer in this one-act tragedy. 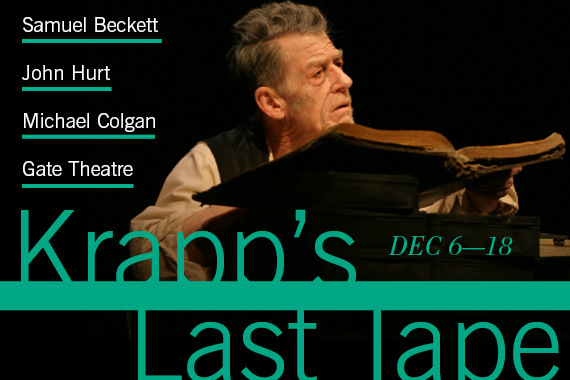 Reprising his role in the Gate Theatre’s critically acclaimed Dublin and London production of Krapp’s Last Tape, Hurt plays the titular character who, in marking the occasion of his 69th birthday, revisits his 39-year-old self by listening to a birthday recording made 30 years earlier. Krapp is met by a younger, cocksure version of himself, and as the tape plays, he’s confronted by the numerous chances at happiness and true love that he squandered in his efforts to become a world famous literary figure. Veering from outrage to contemplation, Krapp exhibits the ticks and tocks of a beaten man unable to find comfort, and whose spirit unravels as the tapes unspool in “all that old misery” of lost time. To coincide with John Hurt’s appearance on the BAM stage in Krapp’s Last Tape this cine-quartet offers a selection of our favorite film performances by Mr. Hurt. Films:The Elephant Man (1980, Lynch), Love and Death on Long Island (1997, Kwietniowski), Nineteen Eighty-Four (1984, Radford), Scandal (1989, Caton-Jones). Following an immensely acclaimed world premiere at the Galway Arts Festival this past summer, St. Ann’s Warehouse and Imagine Ireland will present the American Premiere of Misterman, November 30—December 21 at St. Ann’s Warehouse. 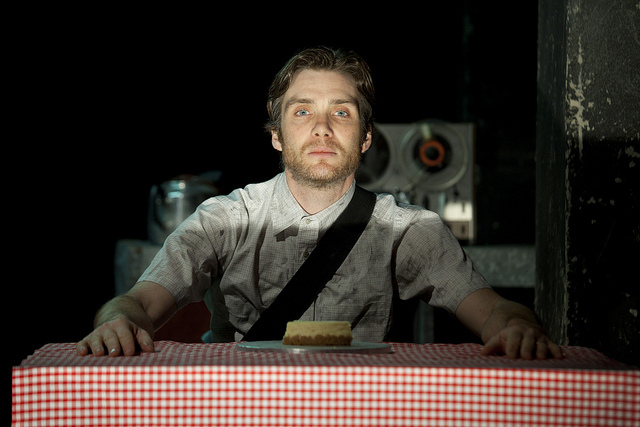 Murphy makes his American stage debut with a tour-de-force solo performance in this Landmark Productions / Galway Arts Festival co-production, his first collaboration with playwright/director Enda Walsh since Disco Pigs, which launched both men’s careers 15 years ago. Written and directed by Enda Walsh, Misterman is a dark, dangerous and blisteringly funny tale about a proselytizing, small-town fanatic on his own judgment day. Portraying the unraveling protagonist Thomas Magill, self-proclaimed moral leader of Inishfree, Murphy navigates an emotional spectrum that ranges from minutely subtle to unsettlingly explosive. Misterman was first produced in 1999; for the new production, Walsh has greatly expanded the text. An Irish government tribunal of inquiry into the institutions responsible for the cruel and inhumane treatment of children is in session. In the foyer, James X, one of those children, now a man, anxiously prepares to offer the testimony which he hopes will unshackle him from the past. As he waits, James is confronted with the fact that the tribunal he is about to go before is part of the very same system what made prisoners of children like him. Sighting this truth prompts him to tell the story which will really, finally, set him free. Gerard Mannix Flynn, born in Dublin in 1957, has carved out a multi-faceted artistic career as a writer, actor, playwright, politician, political activist, and visual artist and in 2009 he was elected an independent councilor for the South East Inner City area in Dublin. His experience in Irish institutions, including an 18 month stint in St Joseph ‘s Industrial School, where he was sent at age 11, has informed much of his work, including the autobiographical novel, Nothing to Say, in 1983 and James X. Tickets $40, student rush $15 with valid ID. of Brian Friel’s Tony Award-winning masterpiece. 1992 Tony Award for Best Play. SWEENEY, CANDIDA), and Rachel Pickup. Adapted and Directed by Charlotte Moore. Musical Direction by John Bell. DEC. 7 – 31 ONLY! Limited Run! Performances December 7-31 Only! 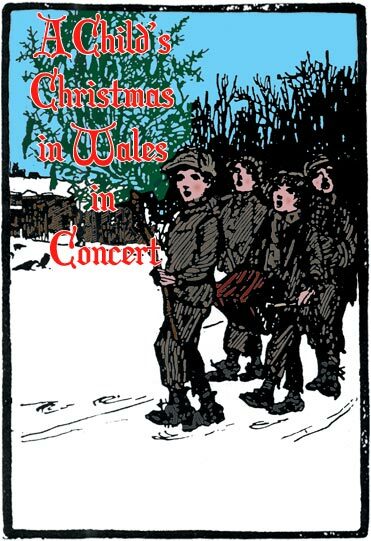 the legendary snowy Christmas Day in Wales. Ward (CRAZY FOR YOU National Tour, Helen Hayes Award nominee). conducted a renowned series of reading tours of the United States. to Wales, where a simple wooden cross marks his grave.